Himanshi’s birth was very special for the entire Patel family. She was the first girl in the entire family and they were all thrilled with this happy and talented child. But last year, Himanshi was diagnosed with a rare disease that has damaged her liver and things took a complete wrong turn from there. The family lives in a small village in Uttar Pradesh. 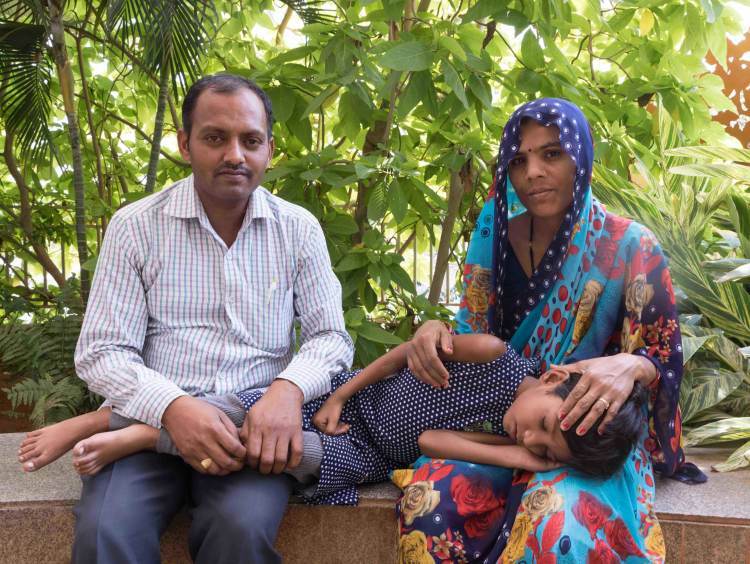 Bhairam Patel, Himanshi's father works in Chattisgarh and he decided to take her to a doctor there. That was when Himanshi was first diagnosed with Wilson's Disease. The disease results in a build-up of copper in the body. The worst part is that it affects the liver, kidney and brain. 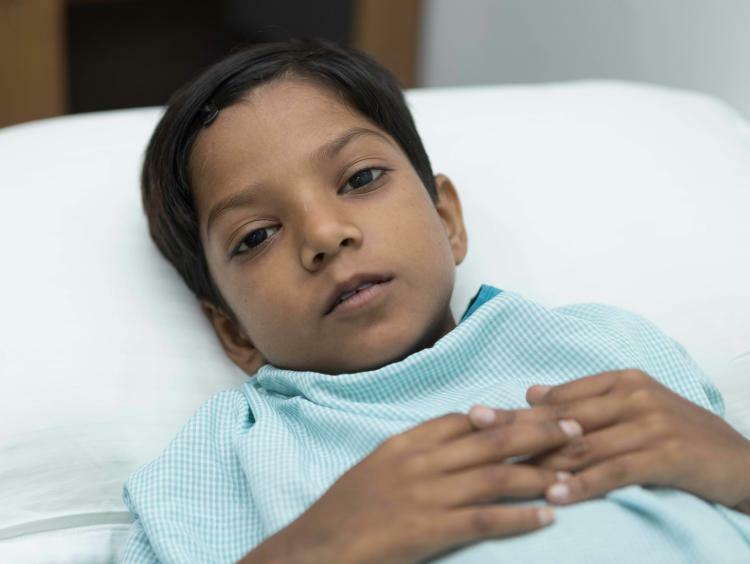 The doctors hoped that medicines might help the seven-year-old. In just one month, the prescribed medicines stopped working. 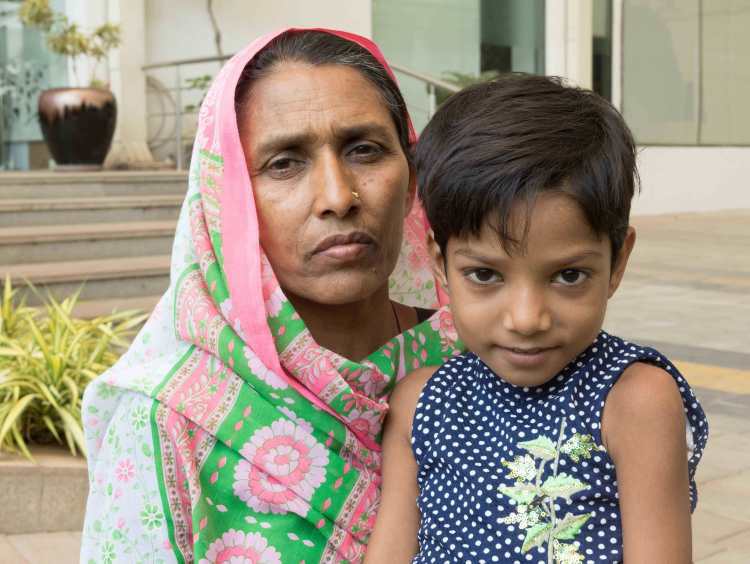 Little Himanshi had to be taken to the doctors again because her body was swelling up. 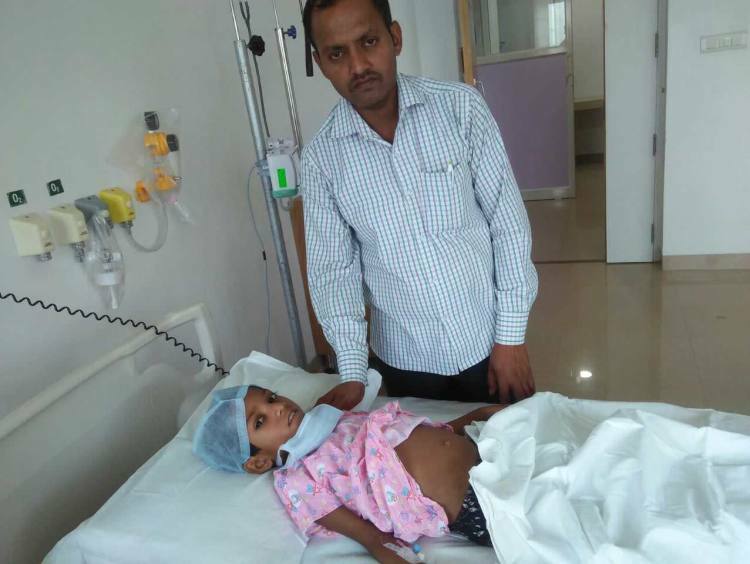 The doctors in Chattisgarh immediately asked Bhairam to take his daughter to Apollo Hospital, Hyderabad. Little did Bhairam know what was waiting for him there. Doctors there told him that the disease had already progressed too much. The swelling of the body, specifically the stomach, was due to water getting collected which is a sign of liver failure. Bhairam who works in a very low post in the Chattisgarh Police department belongs to a family of farmers. He is responsible for the financial needs of a family of nine members. Although Bhairam can apply an advanced salary it is still far from enough to cover the treatment of his child. His younger brother who works as a farmer in Uttar Pradesh, isn’t able to help him financially either. Since Himanshi’s diagnosis, Bhairam has already spent Rs 2 lakhs that he needed to borrow from his friends and relatives. His meager income is not enough for both the needs of the family and treatment of his only daughter. The little girl who had been shining in academics as well as extra-curricular activities before the disease, is now too weak to even walk. The helpless parents are struggling through the condition so their little girl doesn’t have to go through the pain of removing water from her stomach every 20 days. Himanshi's present condition, brings tears to the eyes of her family. Her parents want a permanent solution to end Himanshi's miseries. 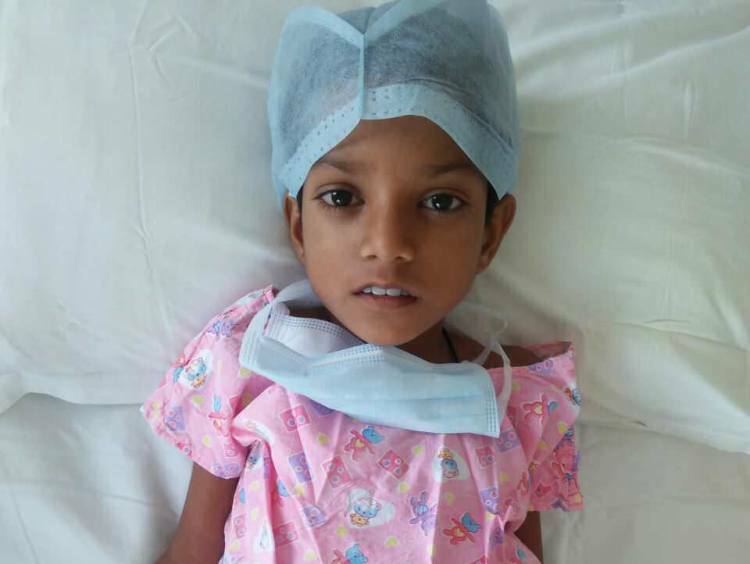 Doctors have finally given Bhairam and his family a ray of hope to save Himanshi. A liver transplant is the only and ultimate solution to save the little one. 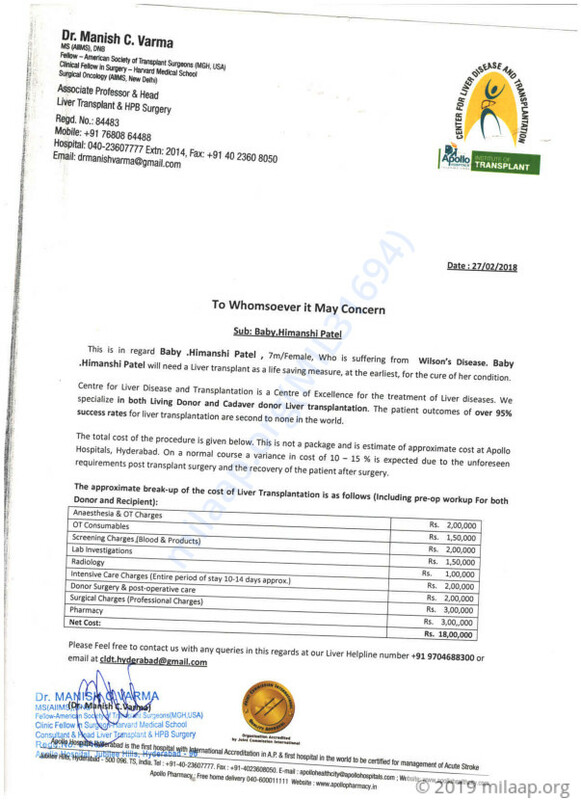 The expenditure of Rs 18 lakhs required for the liver transplant has shattered the hopes of the family. However, it is the only solution that will help Himanshi make it. Let’s all come together and help an innocent live again. We have some good news to share with you today. 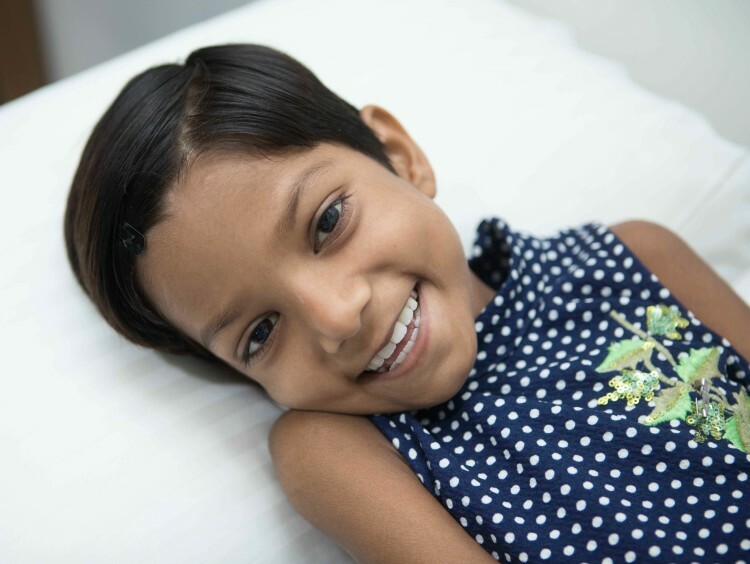 Himanshi successfully underwent the transplant and she is doing a lot better now. There are no post-surgery complication and she is recovering at a good pace. She is on medication as prescribed by the doctors. Thank you so much for the love and support you had shown towards Himanshi.